Oppo R1001 Bootloop Solution - You might face some problems on your Oppo Joy phones such as hang or stuck on logo, forget the key pattern and the password. In some cases, your Oppo Joy R1001 stops forcefully when opening applications and others. That was all a variety of common problems faced by Oppo users. That must be really annoying, and that is why in this simple article we are going to guide you to share our knowledge and experience on how to fix Oppo Joy bootloop by flashing the firmware without using a PC or computer. The general method used for Flash Firmware Mobile is using a Computer or PC. Well, even though we have a PC, maybe later when we do Flashing, we are attached to the Tool to connect between the phone and PC (driver), Flashing Software (for example Flashtool) and of course also Stock ROM Firmware. Oppo has advantages in terms of ease of doing this Flashing. 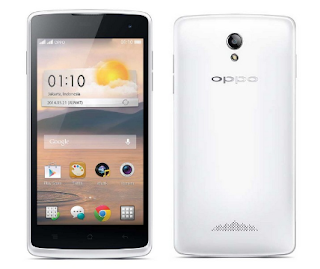 Recovery mode (Hard reset) is provided by Oppo to solve the various problems mentioned above. Okay, now we start the repair guide for Oppo Joy bootloop or just exit the Oppo logo with flash firmware without a PC. To fix Oppo Joy Bootloop without a PC, we prepare some files first. The material needed is none other than the Oppo Joy Firmware. You can get Oppo Joy firmware through the following two links. Select the Oppo Firmware according to your Oppo Joy type. Oppo Joy (R1001_11.A.18_OTA_INT_018_all_160323) (553 MB) : Link 1 or Link 2. Oppo Joy 3 (A11wEX_11.A.11_OTA_INT_011_all_160423) (892 MB) : Link 1 or Link 2. Oppo Joy Plus (R1011EX_11_A.09_OTA_INT_009_all_160416_logo) (850 MB): Link 1 or Link 2. Enter your Firmware Oppo Joy into the SD Card. Make sure the SD Card that contains the Firmware installed in the Oppo Joy that we will Flash. Turn off your Oppo Joy. If you are getting bootloop, remove the battery to turn it off, and if it is dead, replace the battery. Press and hold the Volume key down + the Power button simultaneously until the Oppo logo appears and Recovery Mode is written in the lower left corner. If so, release the button that you pressed. Select the language you want to use (Recovery OPPO has been supported by touchscreen operation, if the touchscreen does not work in this session, you can use Volume Up / Down to navigate and use the Power button to confirm). To make a clean Flashing installation, please select "Wipe data and cache", and then press "Yes". Search and Select the firmware that you have placed previously into the SD Card, and if you have found it press "Yes". The flashing process will be completed in a few minutes, please wait. If the Flashing process is complete press "Reboot". Finished. Please check the success of your Flashing process. 0 Response to "How to Overcome and Fix Bootloop on Oppo Joy R1001 Without PC"